The Council of the European Union has adopted the European Medical Device Regulations (MDR 2017/745), which were published in the Official Journal of the European Union and entered into force on May 26, 2017. The official date of application for the MDR will be May 26, 2020. The EU MDR is replacing the Medical Device Directive (Council Directive 93/42/EEC) and the Active Implantable Medical Device Directive (Council Directive 90/385/EEC). Among the vast changes occurring with this transition from directive to regulation are the new requirements surrounding clinical evidence. If you found the clinical portion of your technical documentation to be challenging in the past, you need to prepare for some additional hurdles. The intent of the new requirements is respectable. Historically, the European Commission’s approach to medical device governance was seen by some as laissez-faire in comparison to its regulatory agency counterparts in countries such the United States, Canada, Japan, Australia, and Brazil. One of the key objectives of the new EU MDR is to ensure a high level of health and safety protection for EU citizens. Making clinical investigation and evaluation requirements more stringent is aimed at improving health and safety through transparency and traceability. Using clinical justifications based on device equivalence has been a standard practice for decades. With the advent of the MDR, equivalence is going to be less accepted, particularly for higher risk devices. Even with lower risk devices, equivalence arguments may be harder to make, and you can expect to be challenged by your notified body. You will be expected to show that the device has the same technical, biological, and clinical characteristics, and to demonstrate that you have sufficient access to the data on that equivalent device. For implants and Class III devices, that includes an agreement to access technical documentation for the equivalent device. In the past, it was common to have risk management files and clinical evaluations as separate, stand-alone documents. The EU MDR expects risk management and clinical evaluation be interdependent processes, calling for careful alignment of the risk management system with the clinical evaluation. The expectation is that clinical risks will be addressed in clinical investigations, clinical evaluations, and post-market clinical follow-up. Eudamed, the European database on medical devices, will become a public tool. Up until the EU MDR’s debut, the Eudamed database was an information repository exclusively accessible to national competent authorities and the European Commission, used by European authorities for post-market surveillance. Under the new regulation, Eudamed will integrate information regarding devices and the relevant economic operators, certain aspects of conformity assessment, notified bodies, certificates, clinical investigations, vigilance and market surveillance. This web-based portal will enhance information-sharing between Member States, economic operators, notified bodies, sponsors, and the Commission. Use of the Eudamed database will not be optional. For Class III devices and implantables, the mandatory summary of safety and clinical performance will be made available to the public via Eudamed post-notified body validation. Eudamed is expected to go live on March 25th, 2020, to be ready by the application date of May 26, 2020. If implementation is delayed, manufacturers will have 6 months to populate the database after it is fully functional and a notice has been published. If it is not ready, manufacturers will still have to submit reports to their Notified Body. Clinical evidence is not a new requirement, but the new EU MDR is chock full of new clinical investigation requirements. Under the MDD, lower risk devices were required to have clinical evaluation reports (CERs) and higher risk devices needed clinical data. CERs still are required (EU MDR Annex XIV, Part A) but the content and acceptability is changing. In addition to CERs, a public summary of safety and clinical performance (EU MDR Article 32) now is required for certain types and classes of devices. This summary is expected to consider diagnostic or therapeutic options addressed in the CER and diagnostic/therapeutic alternatives. Class III and implantable devices are expected to have clinical data derived from clinical investigations that were conducted under the supervision of a sponsor. Those clinical studies need to follow Good Clinical Practices (GCPs), such as those outlined in ISO 14155:2011, and the Medical Association Declaration of Helsinki on Ethical Principles for Medical Research Involving Human Subjects. And, don’t forget that any data produced by the clinical study must be done in accordance with Article 8 of the Charter of Fundamental Rights of the European Union, which governs personal data protection. One exciting change will be the ability to submit a single application for a study that covers multiple member states, but the implementation of that rule doesn’t occur until ten years after entry into force (2027). The bar has been raised not just on the requirements surrounding clinical evidence, but on the level of examination now expected. For example, the regulation outlines a clear expectation for notified bodies to provide a clinical evaluation assessment report (CEAR). However, for some specific types of devices, an analysis of the notified body’s CEAR by “expert panels” will be obligatory. It is further expected that the Competent Authorities be notified of any device that receives a certificate post-conformity assessment involving an expert panel ,so that Common Specifications can be developed for specific, higher risk devices. But expert panels are not just going to be reviewing CEARs. They are expected to be busy with voluntary consultations by manufacturers seeking input on clinical development strategies and clinical investigation proposals prior to having their clinical data reviewed as part of conformity assessment. The EU MDR is setting the stage for busy times ahead and clinical evidence plays a big role. While some requirements of the MDD carried over into the MDR, it is safe to say that the clinical support piece needs to be re-evaluated, sooner rather than later. CERs need to be reassessed considering limitations on equivalent devices and state-of-the-art, and then updated to withstand a higher level of scrutiny from the Notified Body level and above. Updates to CERs may also trigger updates to Instructions for Use; make sure they are in alignment. Having an integrated program to incorporate risks into your labeling will also be important to limit the number of reportable events. Events are reportable if they are not identified as a known risk in your product label, and the reporting timeline has been reduced to 15 days. Clinical investigations must be conducted within the constructs of the new legislation (EU MDR Annex XV) and recognized ethical principles. They also must align with the clinical evaluation plan. Further, postmarket clinical follow-up (PMCF) will no longer be a “check-the-box” activity. As a matter of fact, Annex XIV Part B of the EU MDR is dedicated to PMCF. Notified Bodies will be looking for “living” PMCF plans and reports. The summary of safety and clinical performance must be updated “at least” annually, which means a more frequent assessment could be expected. With all the new reports identified in the MDR, streamlining the process and linking data from one report to another will be important to maintain efficiency in your operations. Product certificates to the MDD will no longer be issued after May 26, 2020, but existing certificates will be honored until the expiry date, up to four years after May 26, 2020. However, given the guarantee that all clinical support documentation is going to need to be re-evaluated and revised to meet the new legislative criteria, coupled with the realization that Notified Bodies are going to be inundated, we need to embark on clinical compliance now. 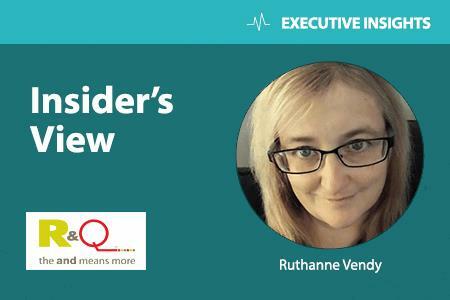 Ruthanne Vendy is a Principal Specialist with Regulatory and Quality Solutions (R&Q). A medical device regulatory professional for more than 15 years, Ruthanne has diverse experience working with multiple medical specialties in various capacities. Ruthanne started her medical device career in product development with the world’s largest manufacturer of professional dental products before migrating into regulatory affairs early in her career, where she has been ever since. Ruthanne has worked for several companies in both corporate and manufacturing settings providing staff training, audit management (internal/notified body/FDA), premarket and post-market support, global registrations and licensing, and labeling/advertising approvals. Ruthanne is Regulatory Affairs Certified (RAC) by RAPS, holds a Bachelor’s degree in Organizational Management from Eastern University, and has a Health Services Management Certification from Philadelphia University.